On Saturday March 21st I will be taking part in a panel discussion about depression and suicide as part of Brighton’s Sick Festival events. There are also events taking place in Manchester. Each one of us exists on a spectrum of depression, don’t we? Some are further along this spectrum than others but if we’re alive, we have the capacity to feel both joyful about this fact and agony, too. My approach to dealing with those moments when the agony presents itself more forcefully borrows something from child rearing advice. I view any threat of depression as if it is a wilful, demanding child of mine. I take responsibility for this child – it’s mine and there are things I appreciate about it – it is a privilege sometimes, to see the world through this particular child’s eyes. As with child rearing, though, when the behaviour of the child threatens to be destructive – to me, to others – the most effective and humane way of dealing with it is to ignore the child and hopefully discourage it. For this reason, I choose not to acknowledge depression – in myself, I mean. I know for others it can be important to have it recognised and certainly ‘not to acknowledge’ is not the same as denial, which is rarely helpful. The choice I am able to make is a luxury that some further along the spectrum may not enjoy and certain environmental conditions (a loving and boundaried upbringing, for example) probably make it easier to turn away. It is a turning away that is required for me, however – a turning away gently and respectfully. I had a peculiar experience during the casting of my radio play Come to Grief, which was an adaptation of a stage play I wrote during a residency at the National Theatre Studio twenty years ago. At the time of the original production I identified with the character of the daughter, who was roughly my age. During discussions about casting for the radio version, I found myself thinking that actors the director suggested for the character of the mother were far too young for the role – he was considering actors the same age as me but I was the daughter’s generation, wasn’t I? 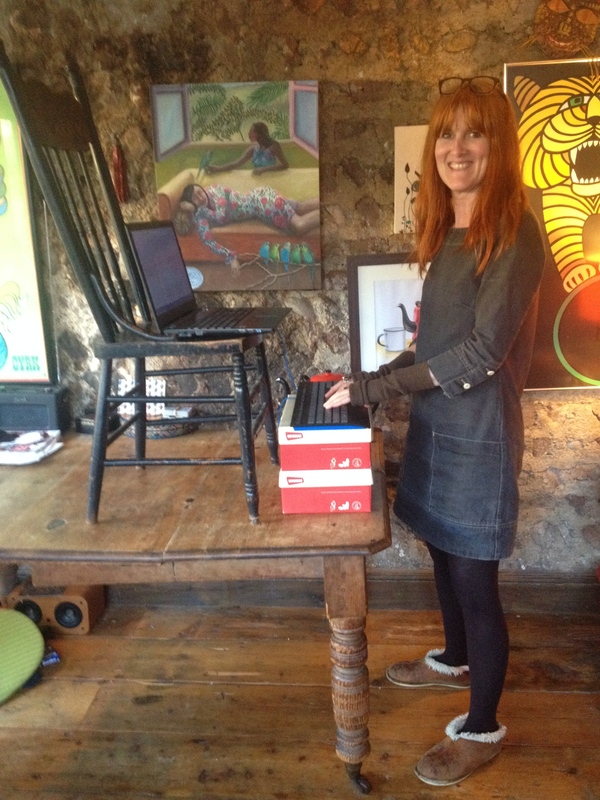 Writing in bed makes my back ache so I have configured a standing desk of sorts (pictured). There is a problem, however, in standing to write. With my body upright and muscles engaged, I am too alert to write creatively. It’s alright for writing academically (just) but even for this kind of writing I prefer to be closer to the ‘dream state’ – and therefore prone. I’m not the first person to note the connection between dreaming and writing. The fictional text is nothing but a writer dreaming out loud onto the page… and a dream is itself can be viewed as a fictional text. What’s exercising me at the moment is what a dream brings to a text. It reminds the reader of the fictive reality they are immersed in, I think – the ‘unreality’ of the dream serves to highlight the unreality of the world in which this dream occurs. In Come to Grief, part of the action of the play takes place in Sylvia’s dreamscape. It is a wonderful balm for her to have the company of her daughter in this space but there is a less welcome guest too. In Alarm Girl, Indy’s dream hopefully provides a moment of catharsis. The novel I’m working on at the moment is littered with dreams. I’m dreaming all over the shop. Back to bed, then. I seem to be writing about death quite a bit but these deaths needn’t always be considered literally. A reader from the ‘West London Men’s Book Group’ I visited (thank you for a great evening, guys – tasty curry and insightful bookish chat – lovely!) gave a psychoanalytic interpretation of Alarm Girl which I liked very much. He said that in order for Indy to reach sexual maturity, her mother has to die. Death in art can be considered on a metaphorical level – we are all being born/re-born and we are all dying – in ways apart from the obvious journey of decay. Relationships change and/or come to an end, and so we ‘die’ for some and others ‘die’ for us. This is where my writing about death comes from, I think. When I write about endings of this kind I am also partly rehearsing for the inevitable real-life endings that will occur. Writing takes me beyond what is (mercifully) my experiential limit so far. Perhaps this public rehearsing of emotion makes me something of a drama queen but hey, I write drama so that’s appropriate, no? Hemingway told a Paris Review interviewer ‘you can write any time people will leave you alone and not interrupt you. Or rather you can if you will be ruthless enough about it. But the best writing is certainly when you are in love’. In the same interview he comments ‘if a writer stops observing he is finished’ but suggests we don’t need to observe consciously or consider how our observations will be useful. I think the open-ness he implies that writers might usefully cultivate – a kind of permeability to experience, perhaps – is the same kind of open-ness that allows love to flourish. Love and writing, go together like a horse and carriage, eh. 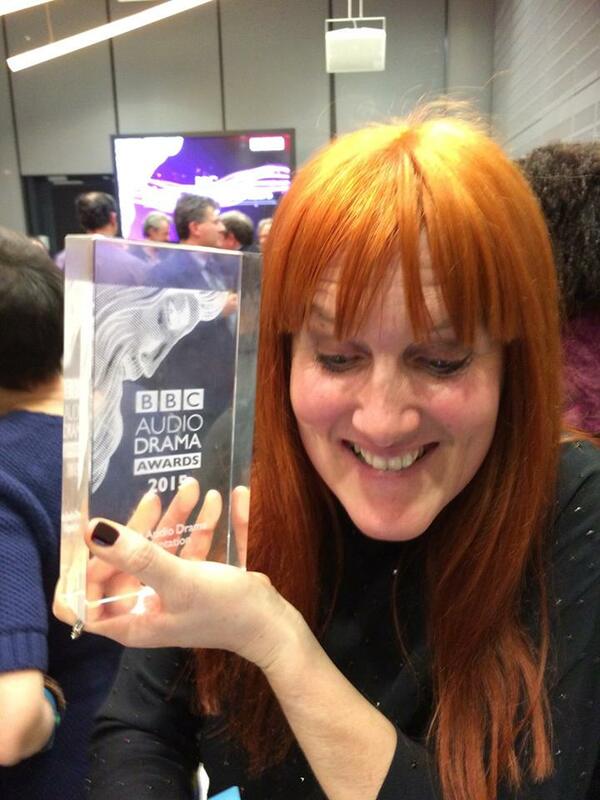 Delighted that my radio play Come to Grief has been shortlisted for ‘Best Drama’ (Adaptation category) in the 2015 BBC Audio Awards. The novelist Elizabeth Bowen wrote that ‘nothing can happen nowhere. The locale of the happening always colours the happening, and often, to a degree, shapes it’. However, as much as writey folk (writers, critics, Creative Writing tutors) emphasise the importance of creating a sense of place, unless we are writing travel journalism, place is above all a metaphor, no? The action of my radio play occurs in the ‘real’ world and in a peculiar aural landscape alternately representative of memory and fantasy. My aim was to conflate the physical and emotional space my protagonist inhabits and blur the boundaries between these spaces. Similarly, my novel Alarm Girl is set in South Africa but above all it is the foreign-ness of Africa for my young narrator that is important. Hopefully the heat, the unfamiliar landscape and the encounters with strangers resonate as a metaphor for her emotional state. Come to Grief was first aired on BBC Radio 4 in July 2014 and will be repeated on the 25th February 2015.